Excerpted from a summary on the Population Reference Bureau‘s website, by Karina Shreffler and F. Nii-Amoo Dodoo. The original version of this article appeared in Population and Environment 30, no. 3 (2009): 75-92. Little is known about the role of land inheritance in the link between land availability and fertility. The recent transition from high to lower levels of fertility in some African countries presents an opportunity to clarify the underlying causes of this decline, since the individuals involved in the transitions are still alive. Using data from focus group discussions with people whose childbearing occurred before and during the rapid and unexpected fertility decline in Nyeri District in rural Kenya, we examined the impact of diminishing land availability, farm size, and inheritance patterns on fertility decisionmaking and behavior. The results shed new light on the role of education, long considered the key determinant of fertility transition. Our research suggests that rather than inheritance being an external factor affecting fertility behavior, parents in Nyeri District chose to educate their children after realizing they would not be able to bequeath a sufficient amount of land. Our work provides evidence of the importance of considering the influence of environmental factors on demographic processes, particularly in regions of resource dependence. For more on Kenya’s youth, see New Security Beat‘s interview with Wilson Center Scholar Margaret Wamuyu Muthee. 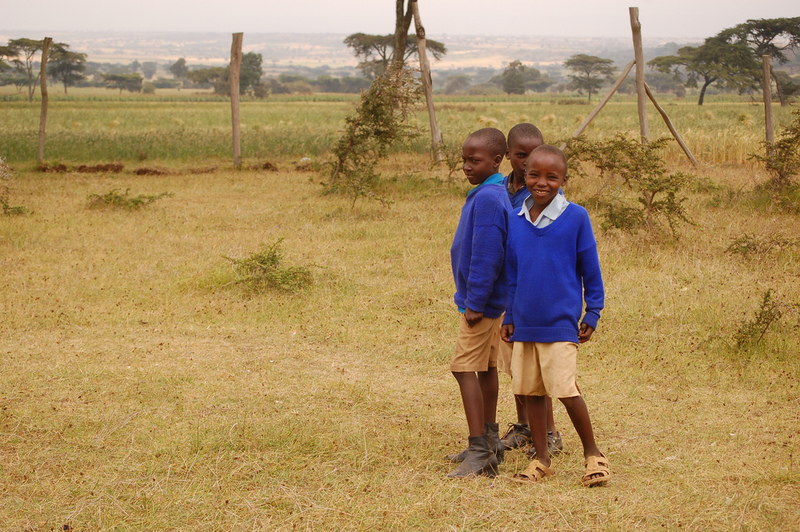 Photo Credit: “Olaimutiai Primary School (Maasai Land, Kenya),” courtesy of flickr user teachandlearn.